I am writing this whole article to present The Knight’s Medieval Code of Chivalry. However, before we talk about it, let’s try to outlay what we think when we hear the word Chivalry. I know as a child, when I heard the word “chivalry,” I often thought of the many stories I heard or seen in a cartoon or movie about “King Arthur.” Let us go beyond this. We know that he was a legendary British leader of the late 5th and early 6th centuries. He became known for leading the defense of Britain against the Saxon invaders and established an empire that encompassed Britain, Ireland, Iceland, Norway, and Gaul, according to romanticized medieval histories. As a result, King Arthur’s existence is largely questioned and debated among modern historians as the details of his story are mostly made up of folklore and literary invention. The reliable historical background is available that mentions King Arthur is limited but does include the Annales Cambriae, the Historia Brittonum, and the writings of Gildas. The story of King Arthur began to become legendary, primarily, when he was developed as a person of international interest in the History of the Kings of Britain by Geoffrey of Monmouth. It is unknown how much of this work was based on earlier sources or invented by Geoffrey of Monmouth himself. There are some stories and poems by Welsh and Breton, which were originated in the History of the Kings of Britain. This “historical” work portrays King Arthur as a great warrior that defended Great Britain from human and supernatural enemies or as a magical character of folklore. Despite the various stories, events, and characters surrounding King Arthur, which all differ, not a single text has distinguished itself as the centerpiece behind the stories, events, and characters of the Arthurian story. However, Geoffrey of Monmouth’s version has often served as the beginning point for stories that have followed his. There are now many pieces of the Arthurian story that appear in the History of the Kings of Britain, which includes King Arthur’s father Uther Pendragon, the wizard Merlin, Arthur’s wife Guinevere, his sword Excalibur, Arthur’s conception at Tintagel, his last battle against Mordred, and last rest in Avalon. In the twelfth century, the French writer Chrétien de Troyes, who added Lancelot and Holy Grail to the discourse, began the genre of Arthurian romance that became an integral part of medieval literature. 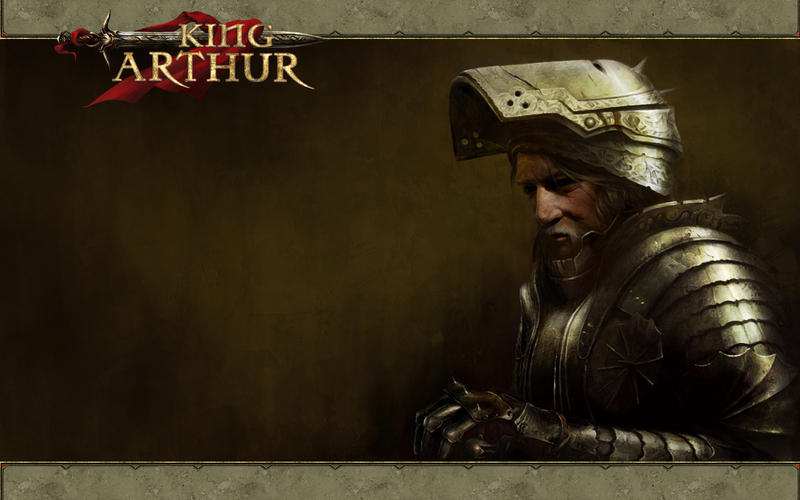 The common occurrence in the French stories is the narrative often shifting focus from King Arthur to other characters, such as a member or members of the Knights of the Round Table. The popularity of Arthurian literature soared during the Middles Ages but waned in the following centuries until a resurgence occurred in the 19th century. The myth of King Arthur defiantly lives on in the 21st century in literature theater, movies, television, comics and other adaptations. I am sure everyone on of us as our favorite narrative about King Arthur. No matter your favorite story of him, the stories all represent stories of honor, loyalty, and chivalry among threats to who he loved most (his wife, his people, his kingdom, and his knights). In short, it is clear that the stories of the romanticized King Arthur we have become fond of are simply tales. However, I do believe we are truly fond of these tales despite there many mistakes or mythology that can be pointed out. It seems this is the case because they integrate a virtue that we hold dear in all our hearts and wish it upon our societies – the knight’s code of chivalry. Lets first define what Chivalry is. It is the moral and social law and custom of the noble and gentle class in Western Europe during the Middle Ages and the result of that law and custom in action. From the beginning of the Middle Ages, knights have been seen as chivalrous men who fought to protect the honor, valor and the occasional damsel in distress. The tradition started as early as the 9th and 10th centuries and then flourished into what we know of knights in the 12th and 13th centuries before losing its appeal at the end of the Middle Ages. The Knight’s Code, or what some dub as the Chivalric Code, had heavy Christian influences. During the early Middle Ages, churches in Europe proposed that knights were not allowed to attack peasants, women, priests and merchants. In addition, they were not allowed to do battle on Sundays or other holy days. These rules and regulations were known as the Peace of God and the Truce of God. Although these programs were not strictly enforced by the church, the ideas were still heavily regarded. Through the years, knights became more romanticized, and their way of life became common practice for European nobility in the 15th and 16th centuries. Much of it was to preserve the knight’s legend and lead a dignified life. The benefit of the code was to protect an individuals honor and introduce and show chivalry toward others. Many of us today, see Knights as those to depend on when trouble arises. Knights certainly helped in providing added protection to a castle for the benefit of a king and noblemen within it. However, more importantly, they were sought after in consideration of issues of etiquette, hunting, and tournaments. Knight’s completely followed the Knight’s Code, which only helped strengthen their society. As a result, their presence made it a better place. There are few misconceptions about to the Knight’s Code. The majority of knights believed and held dear to the code. As a result, they lived out the code. However, some feel that the Knight’s Code is not about outward actions but a state of mind, while others believe that being a knight, and its code, were solely based on physical ability over being born into a knighted family. Despite these misconceptions, the one thing I am sure we could get a consensus on is that we all would desire the knight’s code of chivalry to become reality in our own nation, state, or city. That is a great desire to have for where ever we might live. However, lets not forget, no matter how it was viewed among the knights centuries ago, the code did begin within the individual lives of the knights and their families. So, lets make it our collective goal to begin the implementation, if you so do wish, in our personal lives.